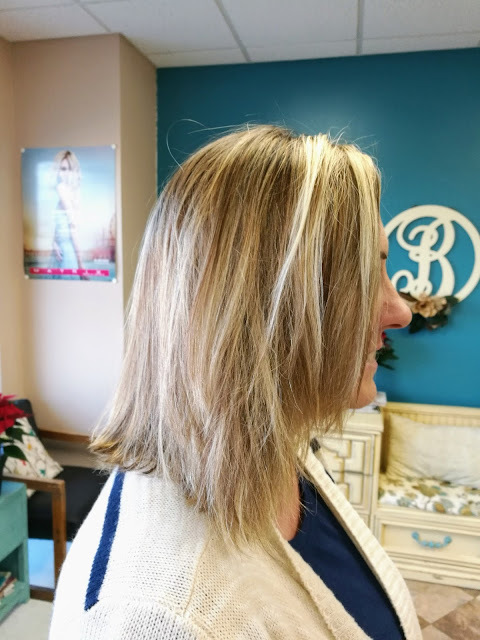 My best friend’s mom, who I call mom as well, came into the beauty school salon to get a trim and a balayage. I love how the blonde framed her face! 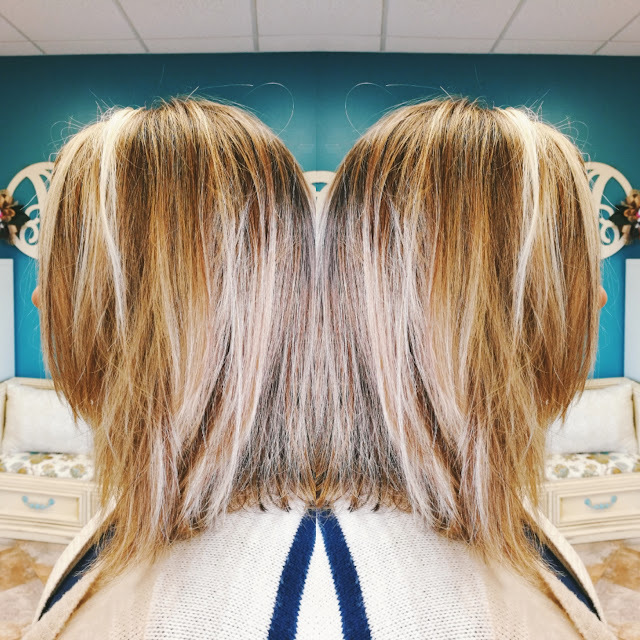 The added lightness gave her a youthful look and she totally rocks it. 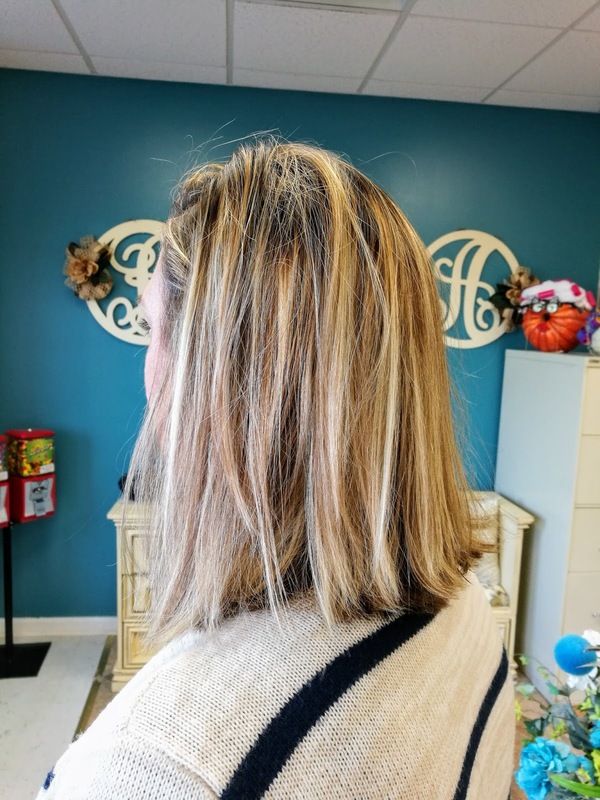 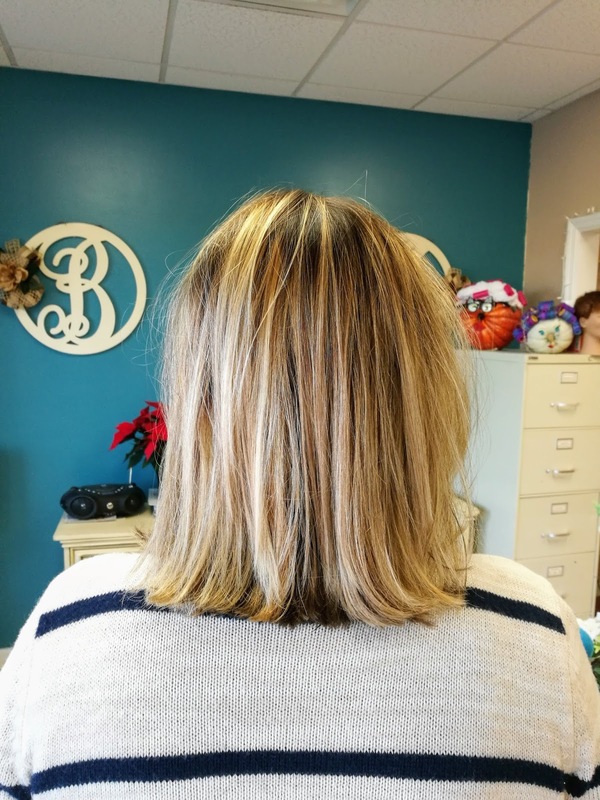 The additional lob cut completed the overall look!